Natio Smooth and Rich Lip Colour Palette features few of Natio's most popular lipstick shades in a limited edition, slimline palette. It is the perfect way to add a healthy flush to your lips. Enriched with Argan, Jojoba, Grape Seed and Olive Oil formula, it leaves lips feeling soft and smooth with a flattering satin finish. The versatile palette is rich with long lasting pigment and simple to use for easy daytime or polished evening makeup looks. Enriched with Argan, Jojoba, Grape Seed and Olive Oil. Shades can be used individually or layered. 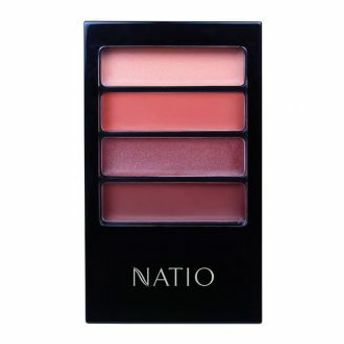 Alternatively, you can also find many more products from the Natio Smooth And Rich Lip Colour Palette range.